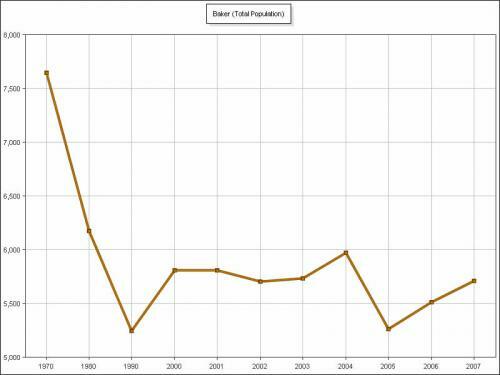 Baker birth rates vs. Denver - percent change year on year. 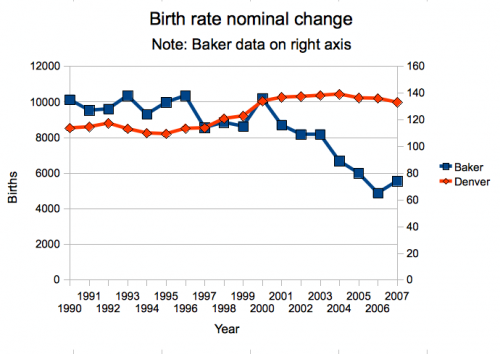 This graph shows percent changes in birth rates for Baker and Denver with a scale of zero. This lets us get a sense for how big the changes area and when they happened in a way that nominal graphs with a limited scale don't. 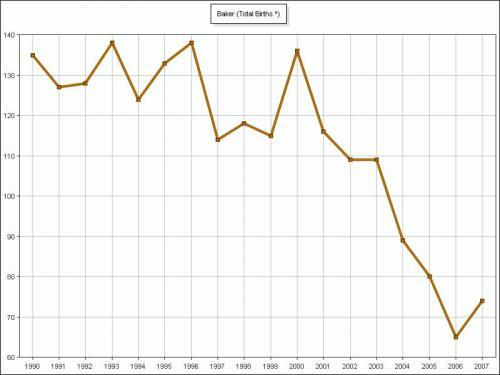 Compare it to Baker births graph created by Piton foundation's website. 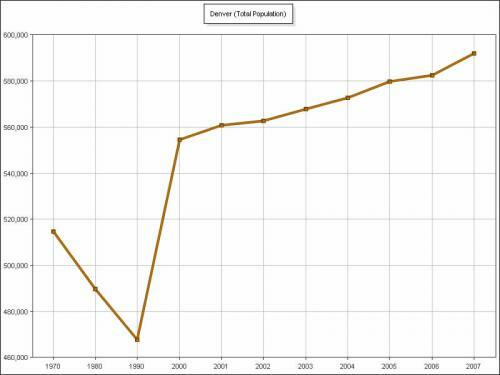 This graph shows nominal birth rates in Baker and Denver with a scale of zero. 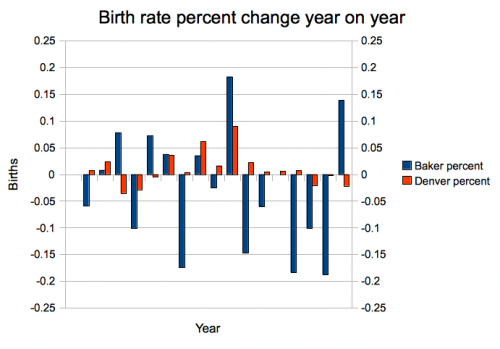 Note that Denver's birth rate is charted against the left axis while Baker's is charted against the right axis. 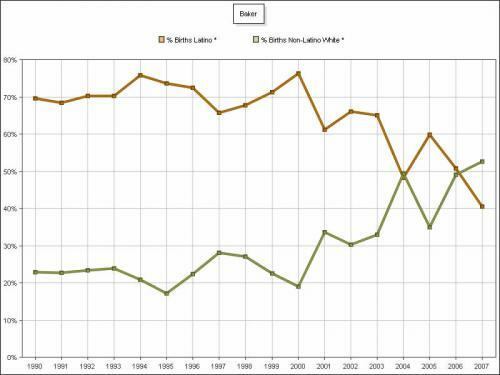 This lets us easily compare them even though Denver has two more zeroes on the right of it's date (i.e. 10,000 vs. 100).